The study revealed that telomeres – the protective units of DNA that cap the ends of chromosomes in cells – were shorter in the white blood cells of survey participants who reported drinking more soda. The findings were reported online Oct. 16 in the American Journal of Public Health. Based on the way telomere length shortens on average with chronological age, the UCSF researchers calculated that daily consumption of a 20-ounce soda was equivalent to an average of 4.6 years of telomere shortening. This effect on telomere length is comparable to the effect of smoking, or to the effect of regular exercise in the opposite, anti-aging direction, according to UCSF postdoctoral fellow Cindy Leung, ScD, from the UCSF Center for Health and Community and the lead author of the newly published study. The finding adds a new consideration to the list of links that has tied sugary beverages to obesity, metabolic syndrome, type 2 diabetes, and cardiovascular disease, and that has driven legislators and activists in several U.S. jurisdictions to champion ballot initiatives that would tax sugar-sweetened beverage purchases with the goal of discouraging consumption and improving public health. UCSF is the nation's leading university exclusively focused on health. Now celebrating the 150th anniversary of its founding as a medical college, UCSF is dedicated to transforming health worldwide through advanced biomedical research, graduate-level education in the life sciences and health professions, and excellence in patient care. It includes top-ranked graduate schools of dentistry, medicine, nursing and pharmacy; a graduate division with world-renowned programs in the biological sciences, a preeminent biomedical research enterprise and top-tier hospitals, UCSF Medical Center and UCSF Benioff Children's Hospitals. 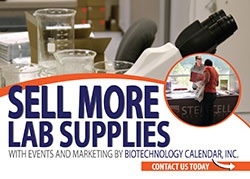 Each year Biotechnology Calendar Inc. does a trade show at UCSF and over sixty other research universities around the nation. If you would like to join us in 2015 at UC San Francisco or any other shows in California please follow the buttons provided!